Looking after braided hair extensions is relatively straight forward because it's no different to looking after growth hair; how you treat your growth hair when not in braided extensions, is exactly same as how you treat it when it is. It might be easier to think about maintaining your braid extensions (both human and synthetic) in terms of daily care, cleaning and nourishing (oh and the reason this applies to both human and synthetic hair braiding extensions is because your growth hair is human and requires care even though it's braided). So without further ado, let's crack on with daily care for braid hair (no rhyme intended!). Growth hair requires these ingredients even when worn in hair braiding extensions. Moisture is essential for maintaining elasticity in hair which prevents the hair from becoming dry, brittle and eventually forming split ends or breaking... Yes all of this is possible, even when you're wearing braid extensions. Braided hair extensions should be moisturized on a daily basis - it may seem excessive but your growth hair with a spray moisturizer or a cream. The most important thing to do is moisturise from the attachment point to where your growth hair ends. 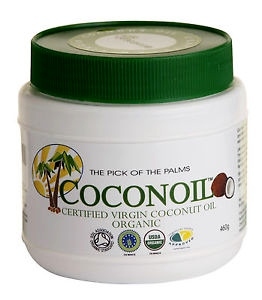 Ideally the moisturizer should be water-based (water is the first ingredient) and should contain a plant derived oil and although we usually mention a whole list, when it comes to braid extensions, choose a light and low odour oil like Jojoba or coconut... before you say it, cold pressed versions of coconut oil (like the image to the right) have a very mild coconut odour which disappears within a couple of hours of application. Mineral oil should be a complete and utter no-no for braided extensions. Ordinarily we say it shouldn't be used on human hair as it just sits on the surface of the hair and trap dirt, dust and odours, but for braided hair extensions it's actually a dire as it creates a waterproof barrier that's difficult to wash off. The mineral oil becomes trapped in between the strands of your growth hair and the braid extensions; it effectively blocks your growth hair from absorbing moisture from the air or any hair care products. This is a shortcut to dehydrated brittle hair and a whole lot of breakage when you come to remove your braid extensions. Hmm... Need a quick, clean burst of moisture your braided hair extensions? As your growth hair is intertwined with the braiding extensions, it can dry out more quickly but increasing the use of moisturizing sprays could cause matting, locking or product build-up (especially where the braid extensions are attached); So what can you do? Make your own light, oil-free moisturizer, of course! All you need is water, glycerine and a pump spray bottle; fill the spray pump bottle with 90% water and 10% glycerine and you've made a clean, non-greasy moisturizer - hooray! What's so great about glycerine? Glycerine attracts moisture because it's a humectant; the technical term is hygroscopic which basically means that it absorbs water from the air; so if you left a bottle of pure glycerine open in a room, over time it would draw in the moisture from the air and become about 80 per cent glycerine and 20 per cent water. This makes glycerine great for hair (and skin products) because it's constantly drawing moisture (from the air) into your hair. Yes, that's right folks... you can wash your braided hair extensions and you can also condition them if you so choose... Many of us were taught that we couldn't, shouldn't or mustn't wash or condition braid extensions; but that's simply not the case. Cool environments or low perspiration levels; ideally braids should be washed and conditioned every two weeks but at least every three weeks. Regular exercise and perspiration; braids should be washed at least once a week and conditioned every two or three weeks. Braided extensions should always be washed after swimming (whether in pool or open water). That's the canter through caring for braided hair extensions! The care doesn't stop there however; there's a guide to conditioning your braid extensions so that you can continue to strengthen and repair your growth hair whilst you wear braid extensions. Stay tuned and keep up to date with the next guide about hair weave, hair extensions, wigs and hair pieces by joining our blog, or check the Hair Extensions Q&A section for answers to other questions.